As an artist who paints commissions, hearing about the reactions of thrilled recipients of my paintings just makes my day. I typically paint several commissions this time of year that are given as gifts, so in the days after Christmas I am overwhelmed by awesome feedback from happy customers! I painted this cat portrait for a co-worker to give to her step-daughter for Christmas. 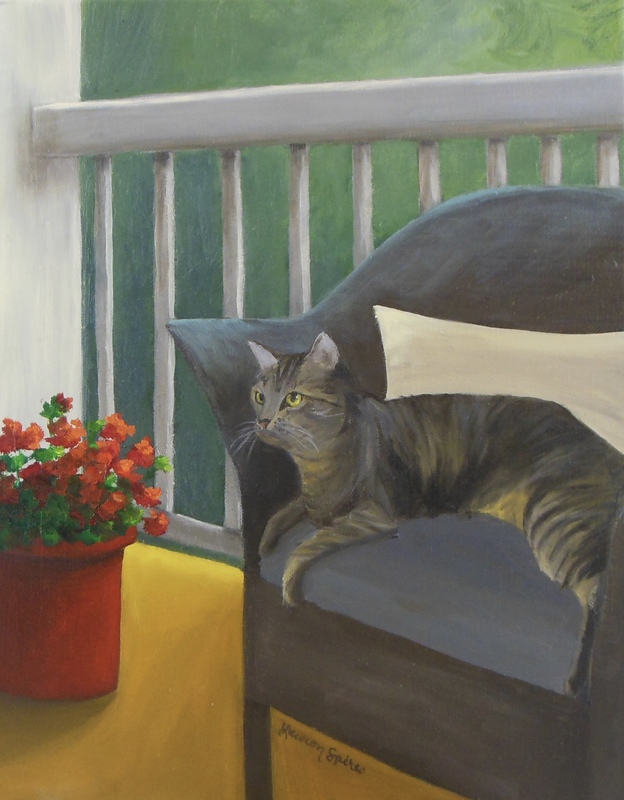 The cat, Gracie, looks so much like my own cat, Lola, so this was really fun for me to paint! I composed the painting based on several reference photos, so it was definitely a challenge for me to piece them all together into the final product. The painting was a hit with the step-daughter, who cried when she opened it!